Empowering families to make saving and investing for college easier. 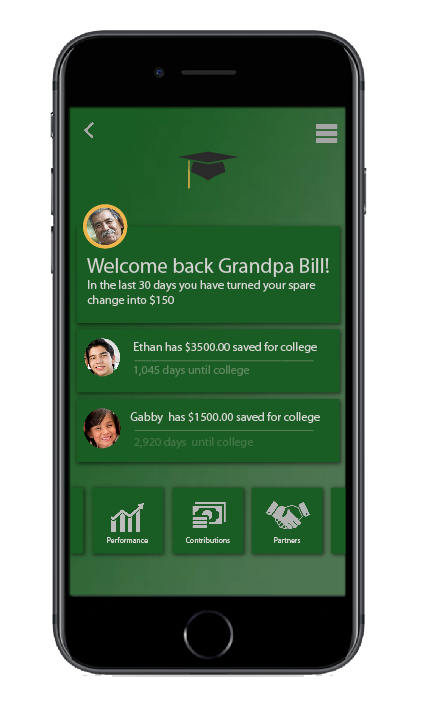 The Grads app and your phone are two great tools to help you get started on saving for college. It gives you useful information about who you are saving for and significant milestones on the way to college. The best part of Grads 529 is the ability to get family and friends involved in saving for college. Grads 529 allows multiple people to contribute to your childrens' academic future. Micro-Investing means that you don't need a whole bunch of money to get started. Just a few cents a day turns into lots of dollars as it grows over time. No need to time the market or wait for special occasions. 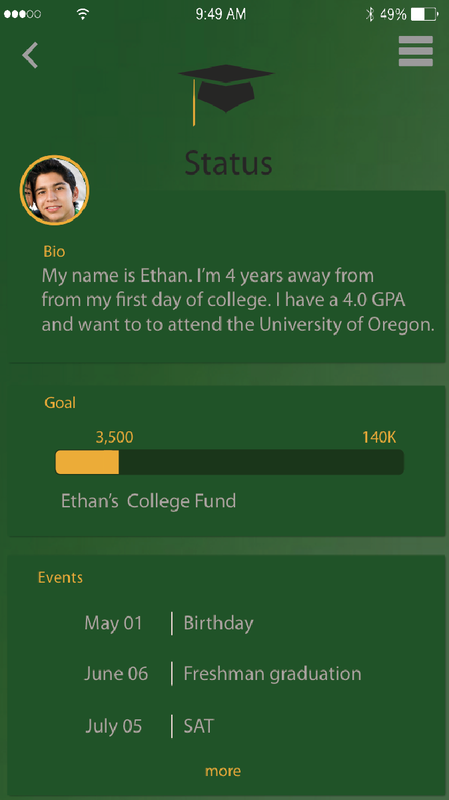 Grads 529 helps you create savings today and lets you know how much you have saved for college. We all understand the value of a college education, but the costs often seem insurmountable. Grads 529 is determined to provide every family with tools and information to make a college education attainable for every qualifying student. Grads 529 is determined to help families and students prepare for the costs of college no matter what their income level. Any student that gains academic admission to a college or university should not be turned away due to lack of college savings. However, as you are well aware, the college debt crisis is real and is often a tremendous burden on graduates for years down the road. Grads 529 is designed to lower the need for college loans and to reduce the financial pressure on families who want to send their children to college.